For most people the purchase or sale of a home represents the largest investment of a lifetime. Did you know that only 10% of people shopping for a new home have the vision to see their belongings in another house? Home staging brings a home to life and can be the key to creating an emotional connection in a potential buyer. Showhomes was a pioneer in home staging and continues as the leader in this fast growing industry. We began our business in 1986 with the concept of transforming vacant houses - often seen by buyers as stale, lifeless, unappealing - into fully-furnished, inviting, valued Showhomes. Now in our third decade of service to Homeowners and their Realtors, we've become America's premier home staging service coast-to-coast. Through our nationwide network of home staging experts, Showhomes has helped over 25,000 Homeowners and their Realtors sell homes valued at over $8 billion! Every major national media outlet in the U.S. has praised the work of Showhomes, the company's work has also been featured on The Today Show, HGTV and the Travel Channel. The Orlando team, one of the first offices opened, has over 22 years of local experience in real estate, design, customer service and staging services. We're dedicated to bringing you unparalleled expertise, responsiveness, professionalism and results. I have been in Real Estate since 2004 and was in interior design prior to that. It made perfect sense for me to transition into Staging. Expert Staging and ReDesign started in 2013 out of necessity. My husband and I were flipping houses and could not find a home stager in our area. My experience in Design and Real Estate combined gives me an advantage by knowing what is important to Buyers. Working in the Real Estate industry trying to produce quality marketing for properties led to the realization that the market in Central Florida was lacking an experienced staging team to help home owners create visual appeal in their homes for prospective buyers. Conveniently located in Orlando and North Lake County, Expert Staging and ReDesign services most of Central Florida. 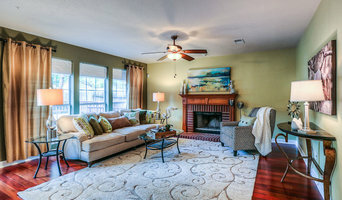 For more information, visit ExpertStagingandReDesign.com Our ultimate goal is to sell your home in the shortest amount of time for the most amount of money. We do this by defining space and creating an atmosphere that is appeals to the majority of buyers. MHM Professional Staging, LLC has quickly grown into one of the most sought-after professional home staging companies in the Central Florida area. With over a decade of experience, MHM Professional Staging leadership has built a prestigious reputation for exceeding expectations, getting results, and making a lasting impression. MHM cherishes the continued loyalty of our past clients and continue to strive forward in meeting the needs of our future clients. MHM Professional Staging, LLC. is lead by Megan Morris, CEO and founder. At the lead of the MHM team, Megan has translated strong values into the company’s core mission. Under Megan’s wisdom, MHM is equipped with the expertise and necessary skills to stage your home in the most visually appealing light. 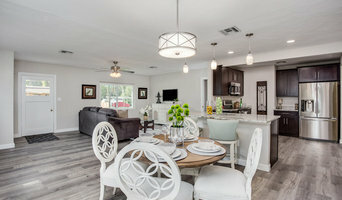 Simply Stated Staging is a leader in staged to SOLD homes in the Orlando and surrounding market. With my own inventory I can create a home that meets the needs and budget of every client I serve. To date, my success rate is 93%. My clients include home owners, vacation home owners, investors, realtors and seniors downsizing make the most out of the sale or rental of their biggest investment. Home Staging is a proven method that attracts more buyers, helps homes sell faster and often for more than market value. Home Staging has become a decisive element in the marketing of properties the world over. Every day that you wait costs you more money and the investment in an ASP is always less than the first price reduction on your home. Simply Stated Staging Equals... SOLD! Are you about to put your home on the market and not sure what to do to make it stand out? Or has it been on the market and it's just not receiving positive feedback? Please give me a call and schedule a consultation. We specialize in using what you already have to transform your home into what a buyer in your market wants (home staging). Home staging is more than just de-cluttering; it's creating spaces that attract buyers. Occupied homes are our specialty! Do you already own a home but feel like your decor needs a refresh? That's where our redesign services can help. We offer assistance with room layouts, paint color selection, furniture and home accessory shopping (usually at wholesale prices!) and home organization. We LOVE creating spaces in your current home that reflect your family’s needs and style. Professional interior decorating services are not as expensive as you think. Call today and schedule a consultation to find out more! B Staged helps you sell your home quickly and for more money! Home staging is all about return on your investment. First, we focus on property condition, de-cluttering and neutralizing. The final step in staging is showcasing which involves re-arranging furniture, adding attractive accessories and artwork, enhancing architectural features and improving flow. It is during this phase that we add the ‘Wow' factor. Our mission is to make your home appeal to the greatest number of potential buyers. Our usual design style is traditional-casual based on current trends and popular home decor. We describe it as "warm and inviting" rather than "contemporary and cold". It is designed to appeal to the majority of home Buyers purchasing in a price range below $500,000. Nationally award-winning vacant home staging. We use our years of expertise to make your house look its best. We're going on our 13th year in business and during that time have staged over $300,00,000. in real estate. I & I Homes is a home staging team based out of Orlando, Florida. By combining the right furnishings with exceptional style, I & I Homes adds value to each property they stage, creating a desirable space for any homebuyer. I & I Homes works with realtors, real estate investors and homeowners, to transform an empty home into a property that rises above the competition. The Finished Touch Designs is a home staging business. We offer consultations for vacant and occupied homes, Airbnb's, interior design and personal shopping to refresh home decor. We are proud to announce we now offer a 3 credit Continuing Education (CE) class in home staging for real estate agents/brokers. Please contact us for Sponsorship opportunites throughout the state of Florida. Receive professional guidance - hire a home stager who is an expert in transforming your home and creating an emotional response from buyers. We employ a staging technique called "merchandising" to add value to your home and attract more buyers to come to visit, resulting in a faster sale and a larger profit. Home and house staging can involve any number of techniques. If you think your current interiors will be appealing to potential buyers then you may just need the help of Orlando, FL home staging services to make sure your home is impeccably clean, tidy and organised; ready for viewings. Or a home stager may wish to hide the more personal touches of your home, such as photographs and souvenirs, and make it more neutral so new buyers can see the property as a blank canvas rather than someone else’s home. On the other end of the scale, an Orlando, FL home stager can radically change your home if necessary, by redesigning rooms, repainting or revamping the whole house in order to increase the property value. Home staging companies in Orlando, FL may even wish to change the exterior of your house in order to make your home more inviting. For example, they could repaint your front door and windows, clean up the frames, weed the garden and add extra touches like elegant door numbers and potted plants. The level of house staging services Orlando, FL property staging companies offer will vary and they may actually work with other contractors to carry out their work, such as painters and cleaners. Here are some related professionals and vendors to complement the work of home stagers: Interior Designers, Photographers, Estate Agents. Having a discussion with an experienced Orlando, FL home staging professional will help you decide what you need to do to your home to increase its selling value; whether it’s a case of simply home dressing or styling, or if you should really redesign and redecorate your home. Even if you’re not selling your home but instead want to get some house staging tips for hosting VIP guests or a special event, or perhaps you own a property or room that you rent out and you want to dress it up for photos, then home staging experts can offer their advice and staging services for these too. Find a home stager on Houzz. 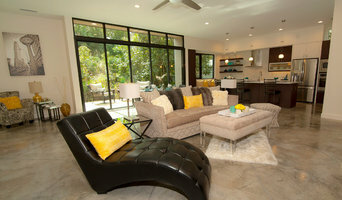 Narrow your search in the Professionals section of the website to Orlando, FL home staging professionals. 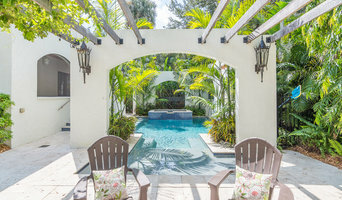 You can also look through Orlando, FL photos by style to find a room you like, then contact the professional who staged it.